Natural Medicinal Remedies And Medications That May Help. 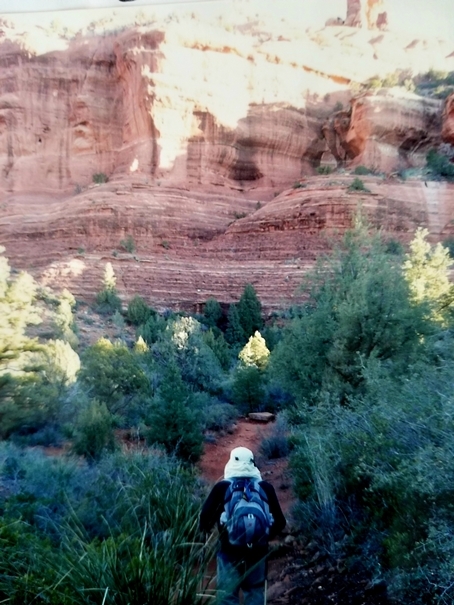 Visitors are drawn to Sedona by its unique energy, which has an invigorating, calming and rejuvenating effect. 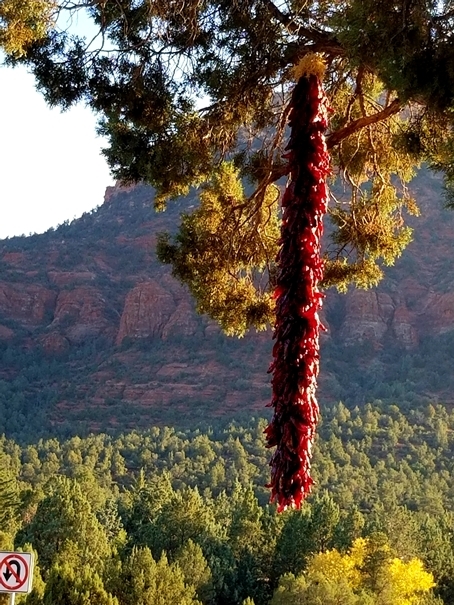 It is said that Sedona has a ‘healing heart.’ It is nature’s open-air cathedral where a spiritual aura radiates from the towering red rock formations. 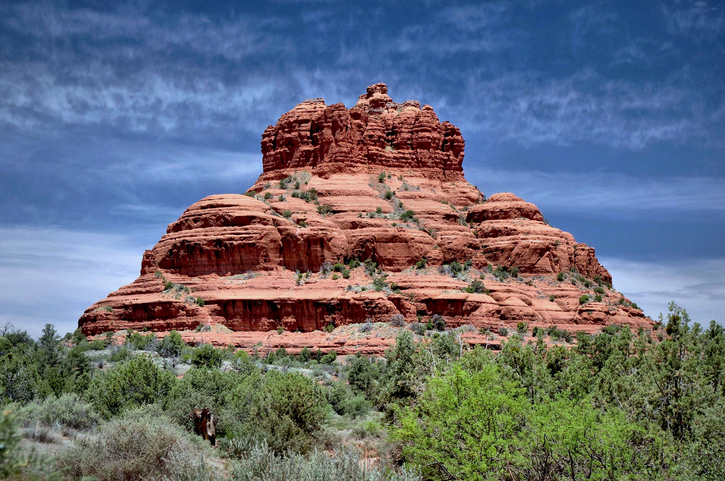 Meditation centers, spa treatments, yoga, and alternative healing are all a way of life in Sedona. 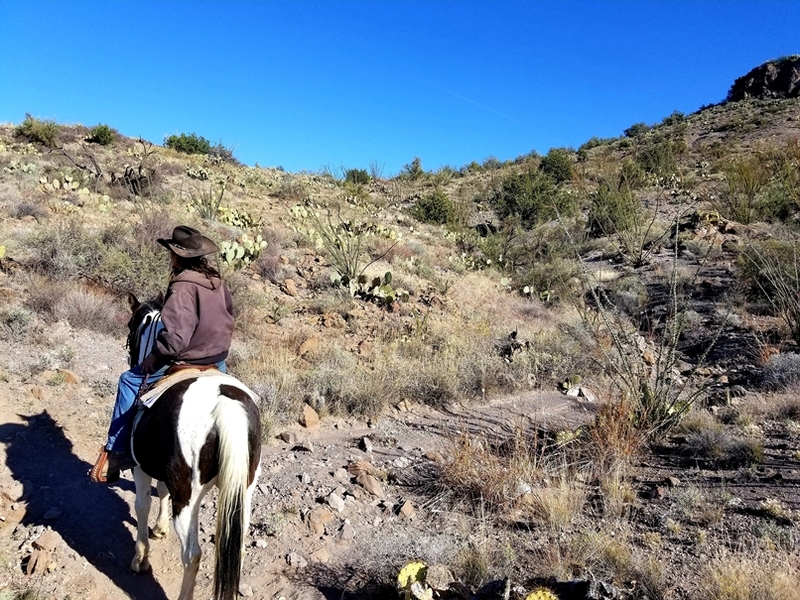 Art galleries, America Indian craft, horse riding, casual and fine dining, jeep tours, and spectacular hikes, keep visitors coming back year in and year out no matter what the season. 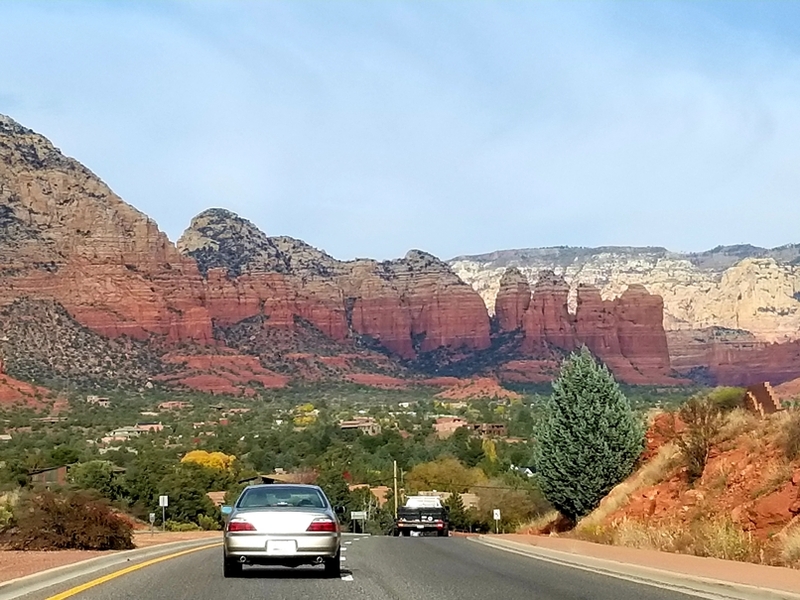 Approach Sedona from Flagstaff via Route 40 to Route 89A. 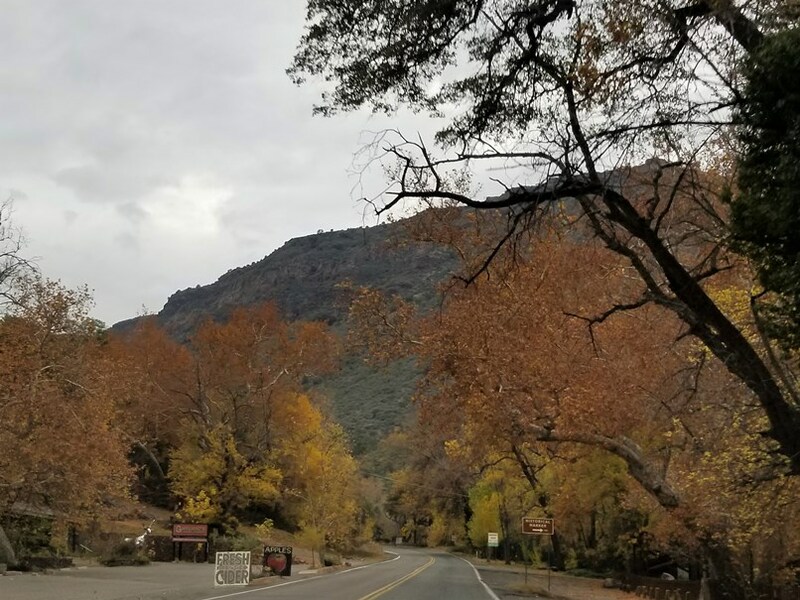 You’ll drive on a winding road where you’ll be treated to breathtaking vistas, fragrant forests, glimpses of Oak Creek, and finally the soaring rock formations as you enter the town. 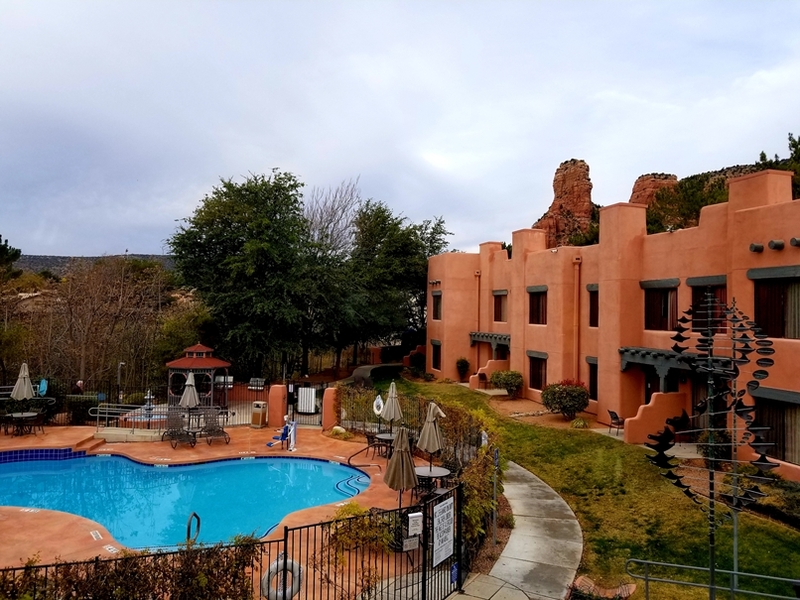 Sedona has an endless choice of accommodation from lodges to B&B’s, homes for rent, rustic cottages that line the gently flowing creek and resorts in quiet settings beyond the hub of Uptown Sedona. 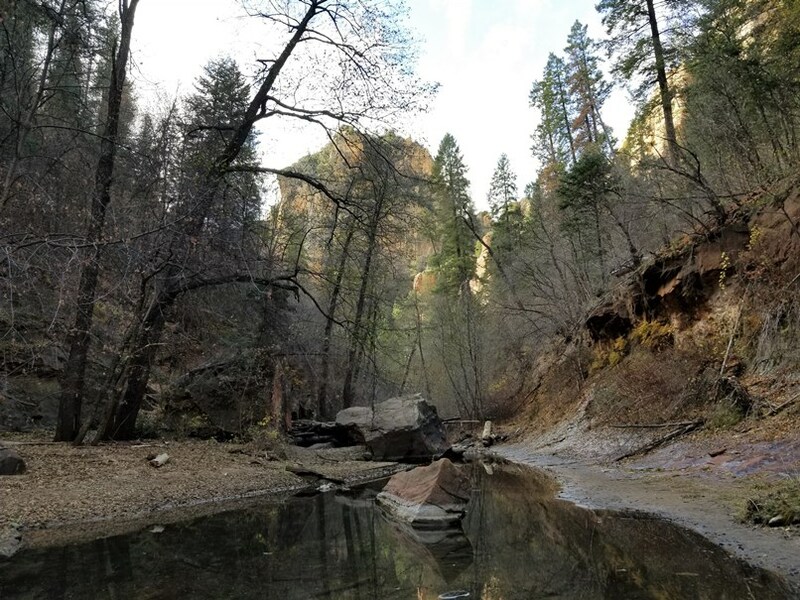 You may also consider staying in the Village of Oak Creek, 5 miles South of the center of Sedona. While it’s less atmospheric than Uptown, you’ll find yourself up close to colossal Bell Rock and Courthouse Butte. 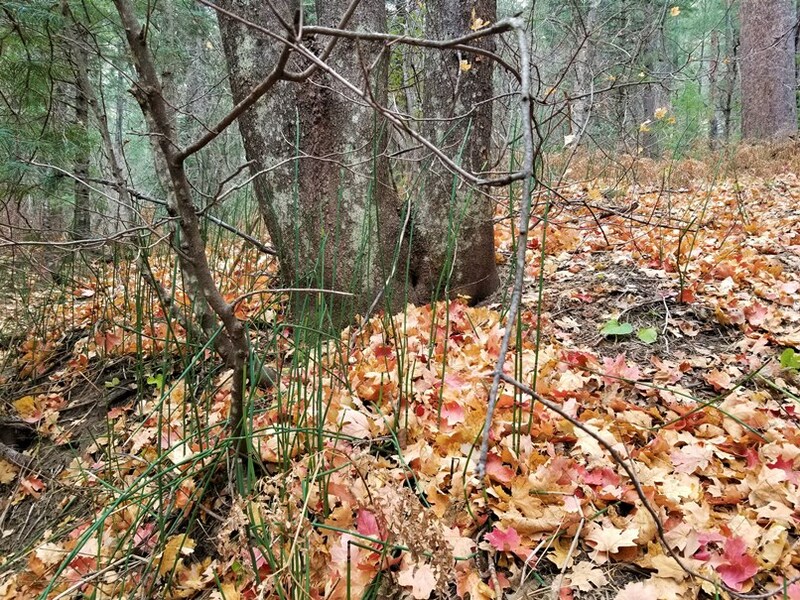 If you’re a hiker, there is a roster of trails to explore. To avoid the crowds, I strongly recommend that you get an early start and hit the trails at first light. It’ll make a world of difference to the enjoyment of your hiking experience. 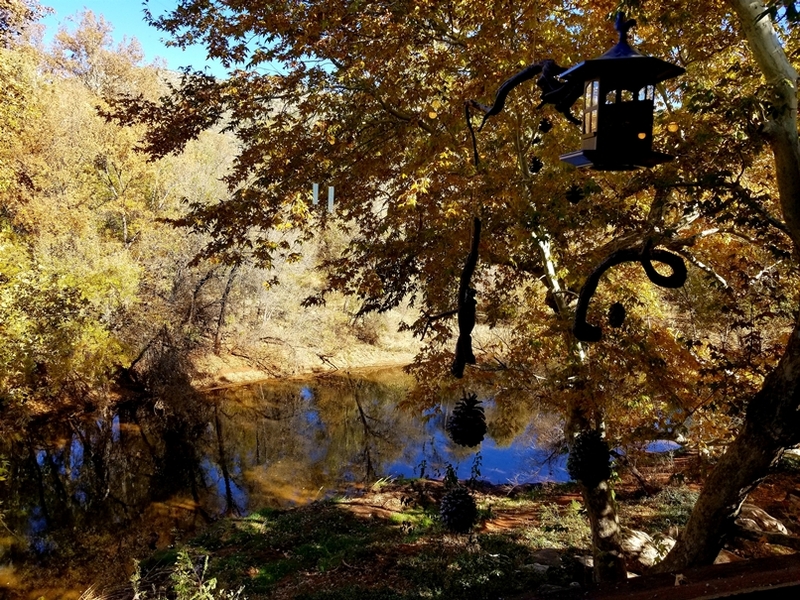 Take a drive to Cornville in scenic Valley Verde where you’ll find several wineries, horseback riding stables (Horsin Around Adventures), and charming secluded B&Bs beside the creek. (Check out The Vineyard B & B). Don’t miss lunch or an early dinner at the restaurant: Up the Creek. It’s in an enchanting, tranquil, setting. Reserve a window table. 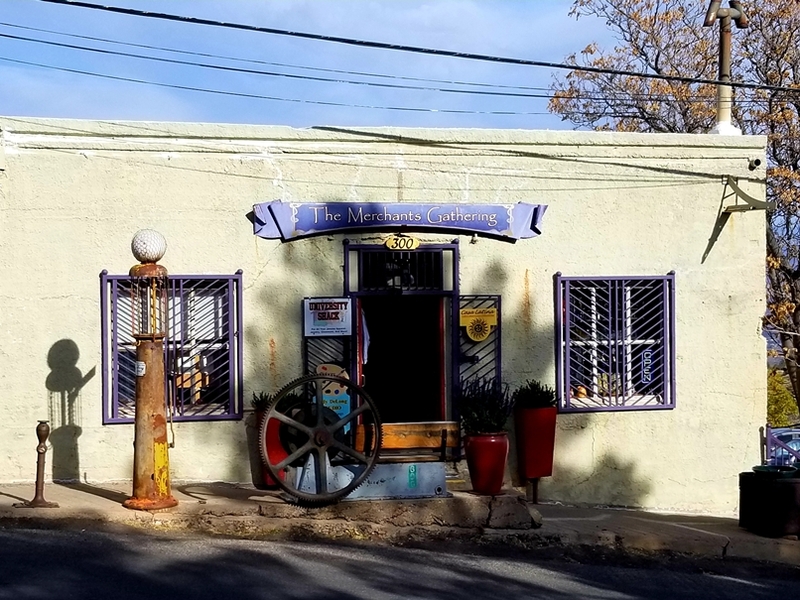 Visit the historic town of Jerome that sits at 5,200 feet, atop Mingus Mountain/Cleopatra Hill. 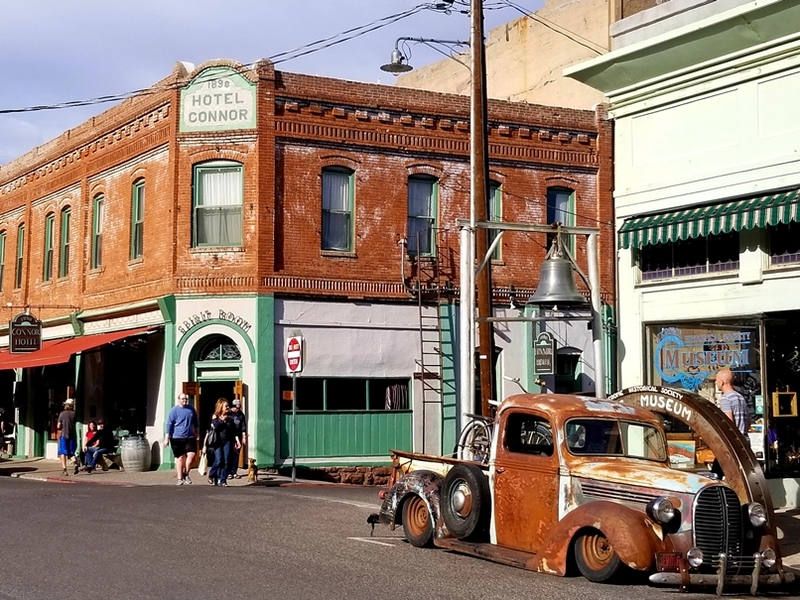 In 1883 copper mining began in Jerome, and it subsequently became a booming cosmopolitan town. 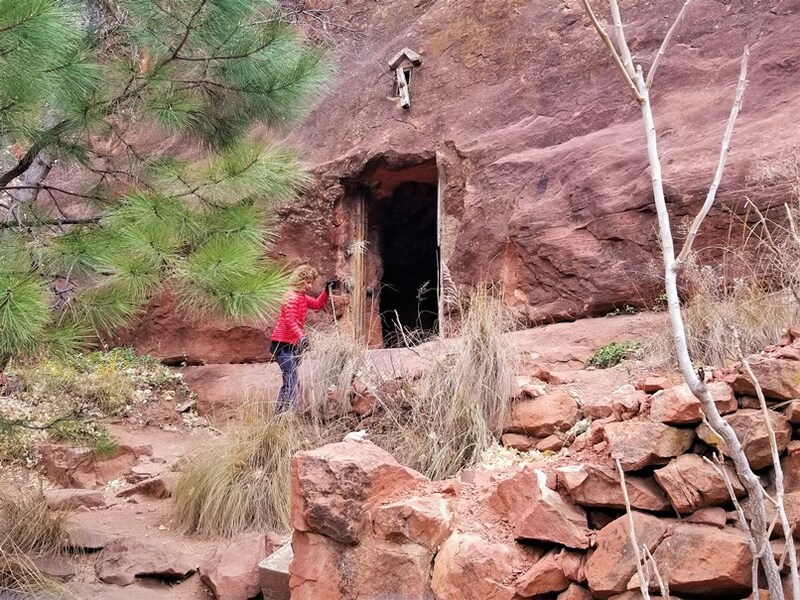 Seventy years later the mines closed and Jerome became a ghost town. Today, it’s a thriving, vibey town. Historic structures have been refurbished and house an array of art galleries, craft galleries, boutiques, and restaurants. Plan on spending a few hours. 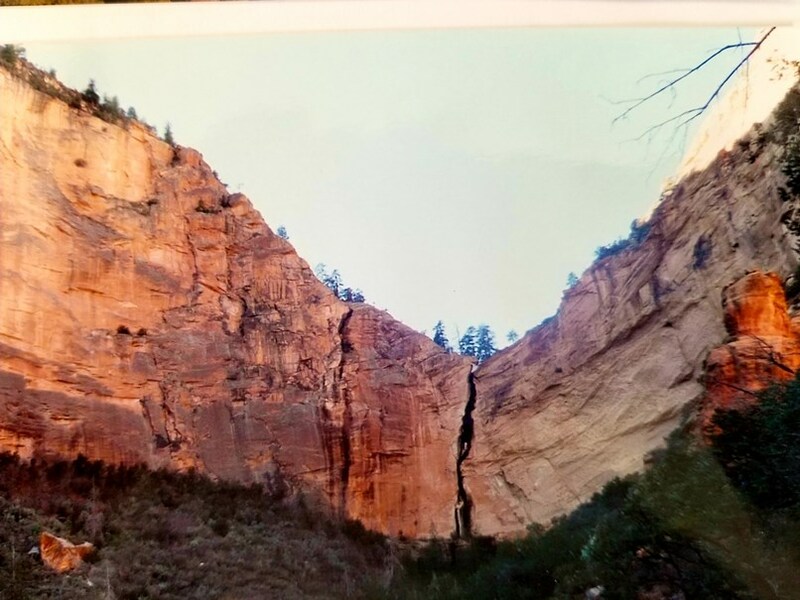 3) Bell Rock and Courthouse Butte – A loop trail, easy to moderate. (3.4 miles). Take the Big Park Loop. 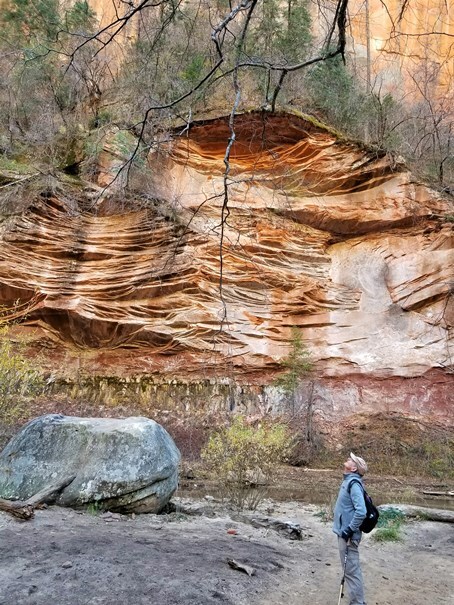 There are many more hikes in Sedona. 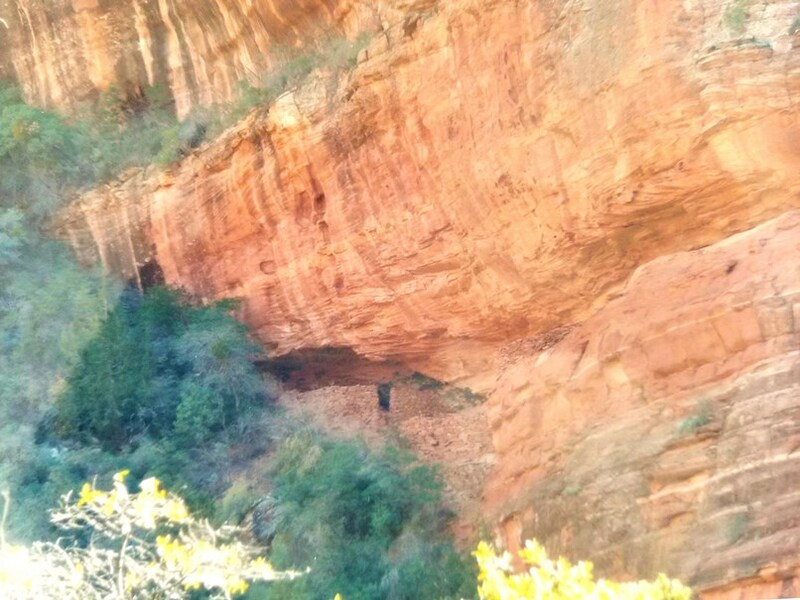 Visit the Hike House (431/Az-179 Sedona) for any hiking gear you may need and for advice on trails. They’re terrific. A casual Irish pub that serves traditional Irish Shepherd’s Pie, Irish stew, bangers and mash, as well as burgers and pizza. 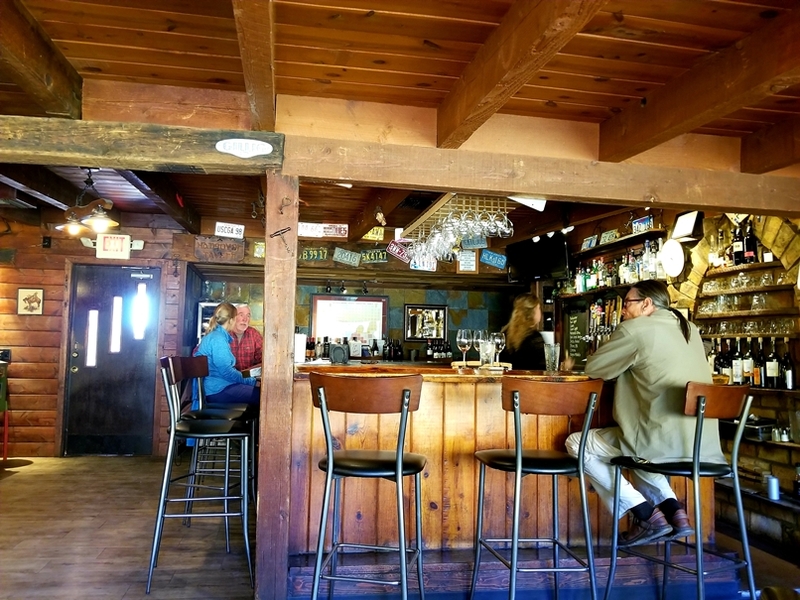 It has good views of Sedona, serves vegan and vegetarian dishes and homemade breads. 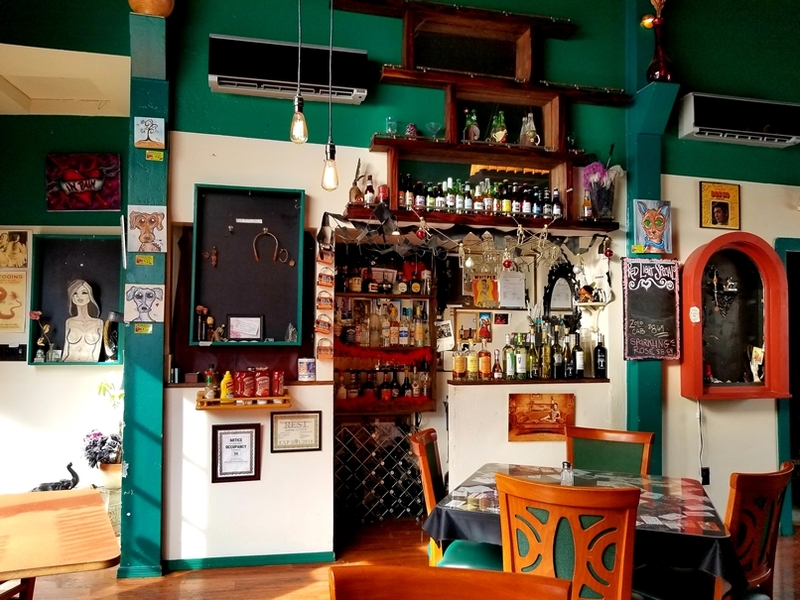 This restaurant serves super-fresh, creative, organic and vegetarian dishes. It has a cozy, vibey, ambiance. 4) Lisa Dahl’s Restaurants – are all good. • Make reservations well in advance for Dahl and Di Luca and Cucina Rustica. Amazon Jungle Inle Lake/Myanmar Dharamshala/India Exploring Uyuni Patagonia Glaciers Sicily/Italy Varanasi/India Travel Tips Books/Morocco; India; Vietnam.